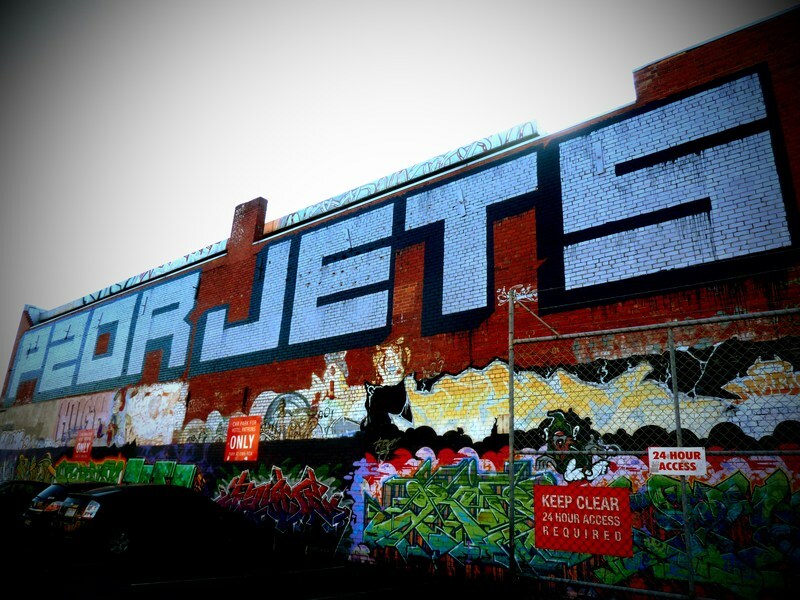 Just a quick train ride away, the Corner Hotel is home to the giant mural created by Pzor and Jetzo, two of Melbourne’s most infamous graffiti writers. Standing proudly in the carpark just behind the iconic Richmond pub, two vast walls serve as giant outdoor galleries, covered in street art of all kinds. Beautiful murals, intricate writing and grotesque imagery compete for space on these walls, flowing at times onto the ground, or onto neighbouring walls. 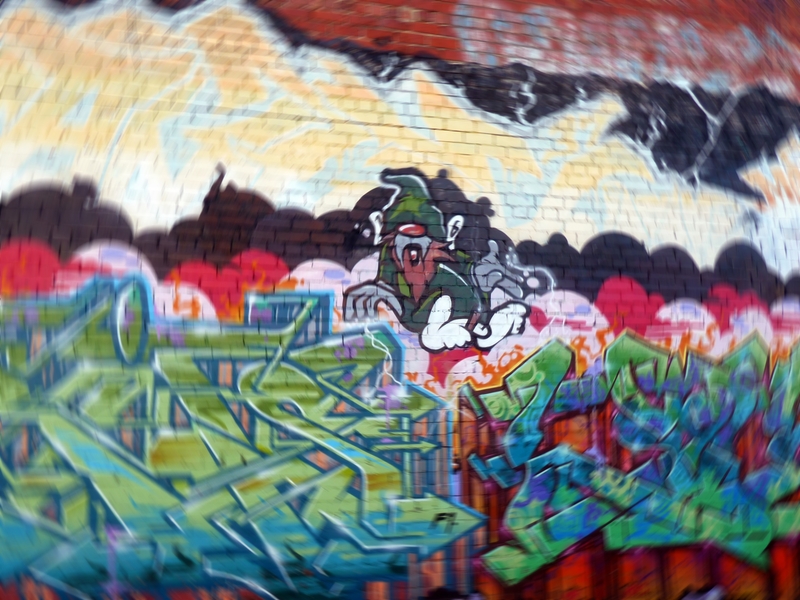 The corner hotel, like the Blue bar, demonstrates the cultural significance of street art in Australia today. Where Blue Bar has intentionally used street art for its benefit however, the Corner Hotel has had art thrust upon the premises illegally, yet has nevertheless embraced it. The acceptance, and even encouragement, of graffiti at the Corner Hotel emphasises its increasing admiration and permeation into Australian society. The Corner Hotel serves as an ideal stop for a meal, in addition to a drink or two. Enjoy the pub grub of your choice, and don’t forget to examine the looming walls in the carpark, before continuing on to the third stop in the tour. 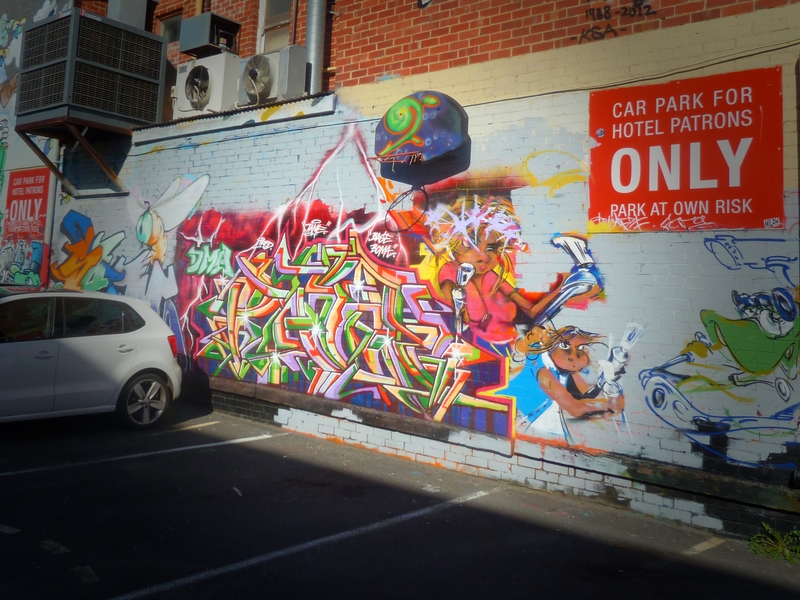 “Corner Hotel,” Street Art deTours, accessed April 20, 2019, http://streetartdetours.com/document/911.